Oh Marian, thank you so much for allowing me the honor of pre-reading this novella for its December 1st release. I have always dreamed of going to Italy, if it's not in God's plan for me, I feel I have been there through this beautiful, picturesque view you have given through Andre and Charly's story. Is one of your dreams to visit Italy? 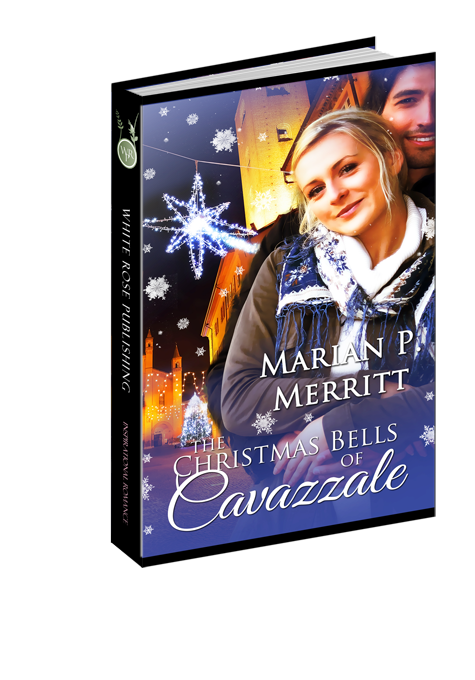 If so, join me in reading Andre and Charly's story set in the heart of Cavazzale, Italy. And what a beautiful story you will find, one of faith, one of trust, one of honor. Living in Colorado, Charly and her Nonna are inseparable until Nonna passes away and leaves Charly her beloved home in Cavazzale. Shocked yet honored, Charly is accepting of this gift and after loosing her job decides to spend the Christmas season there, in Italy. To get away from home, from life and take time to figure out her place in this world. Along the way she meets Andre. Oh how handsome he is, Charly takes a chance, outside of her comfort zone, and befriends this total stranger. A stranger from New Orleans who left his beloved art gallery to travel with his family, to visit his brother whom resides in Cavazzale as well. Andre, from the start, is fascinated by Charly. Getting to know each other on the romantic cobblestone streets of shops and picturesque landscapes, Charly and Andre hit it off. But can Charly come to trust in God to give romance a chance, a second time? Can Andre put the busy lifestyle of running an art gallery aside long enough for his heart to trust in God to know there too is love for him. Join me December 1st to read their story and get a chance to visit Italy at Christmastime and soak in God's love for all His children, everywhere. May God Bless You! !